can be built into a modern home, a lakeside home and a garden home. 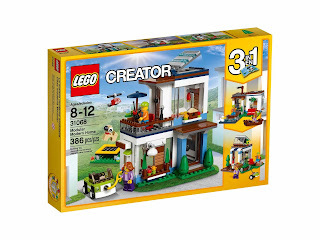 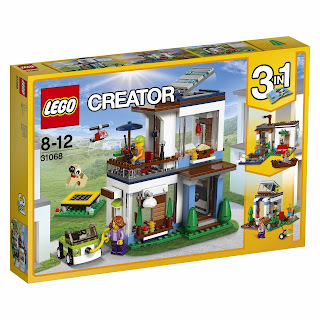 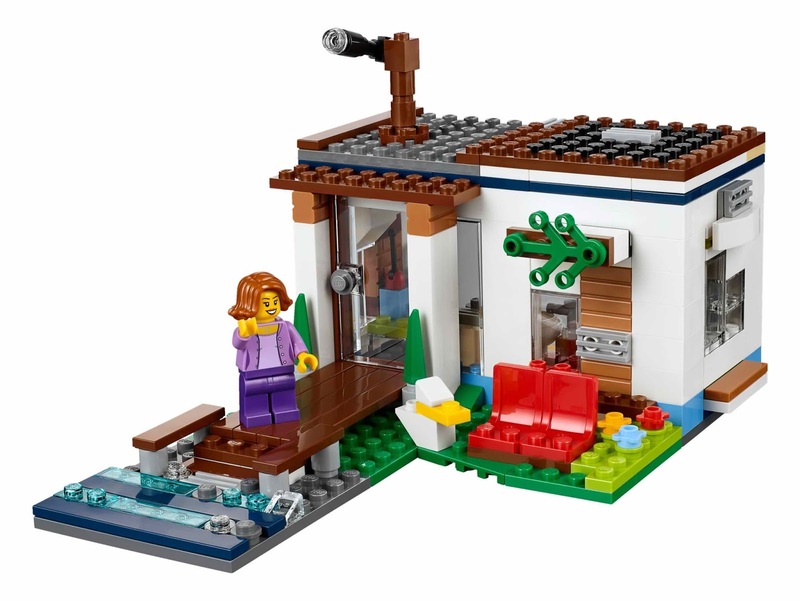 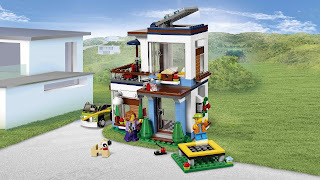 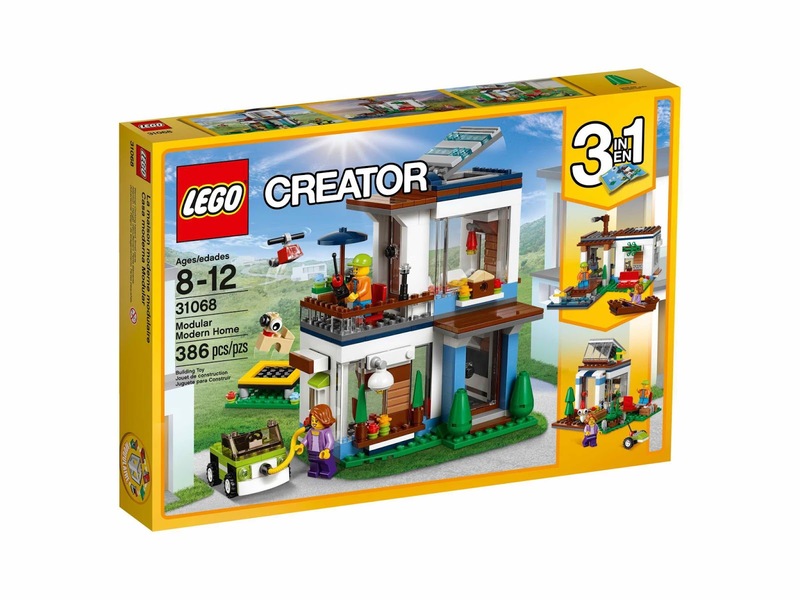 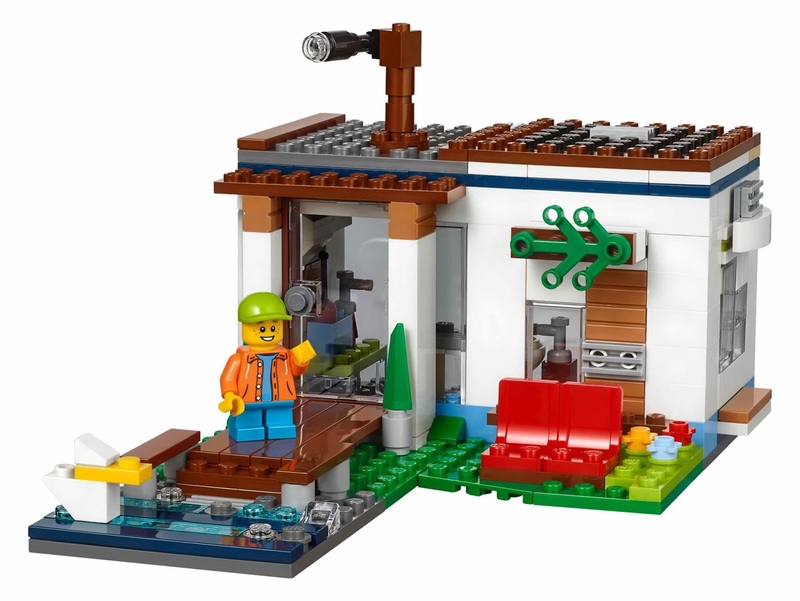 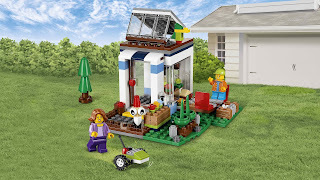 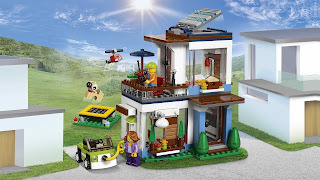 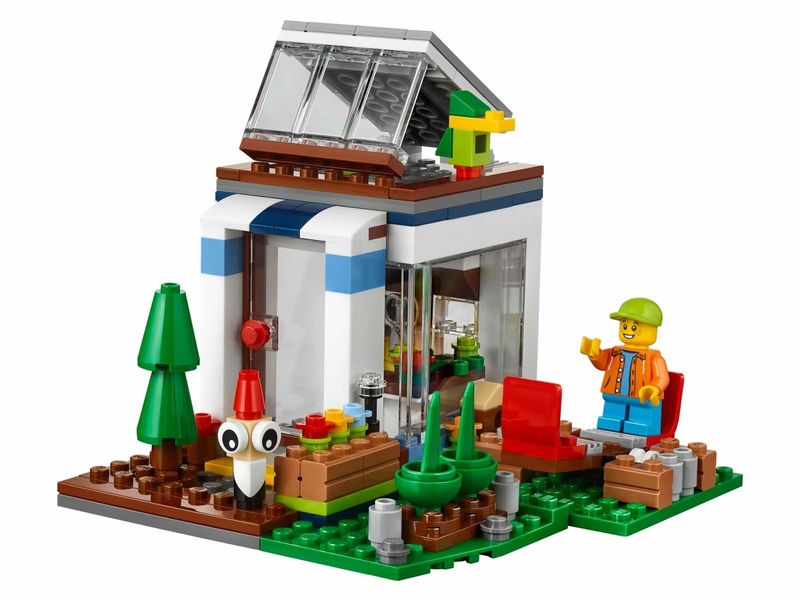 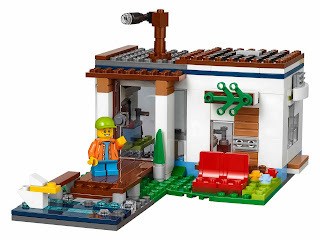 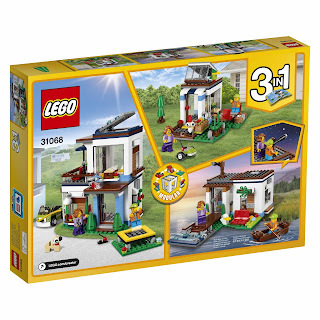 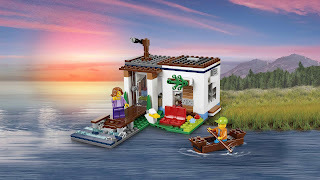 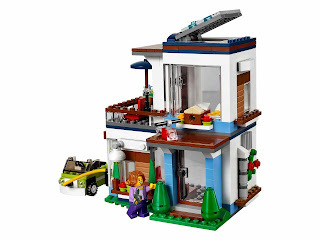 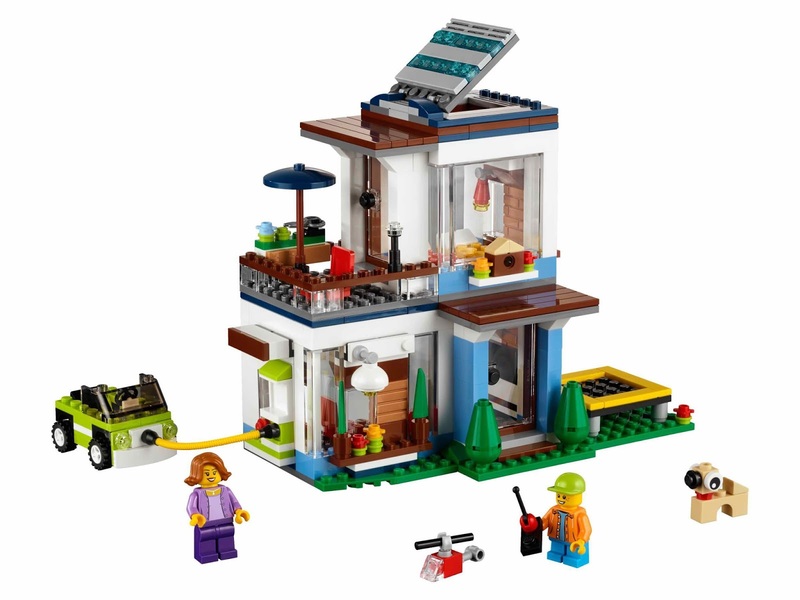 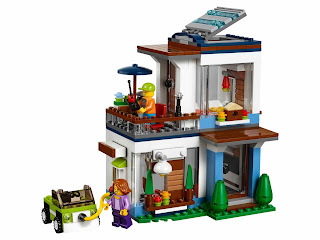 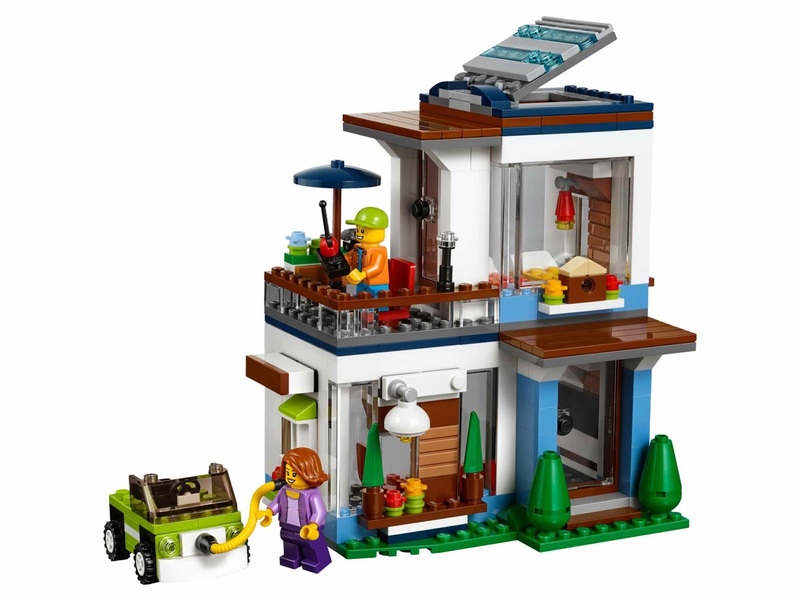 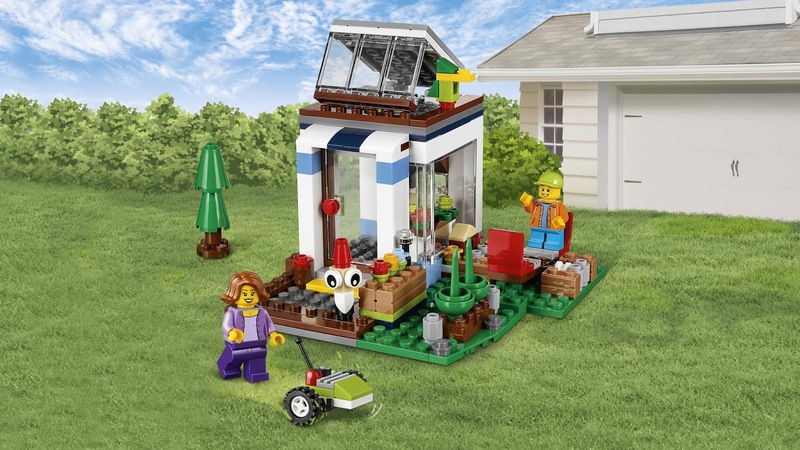 the modern home has big windows, a solar skylight, an upper level bedroom, a balcony, a parasol, a ground level room, a garden area, a buildable outdoor wall lamp, a trampoline, flowers, trees, a charging station and an electric car with minifig cockpit. 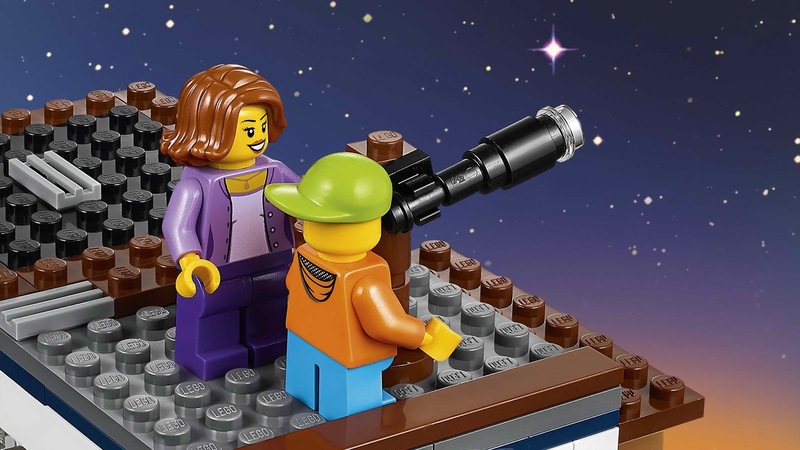 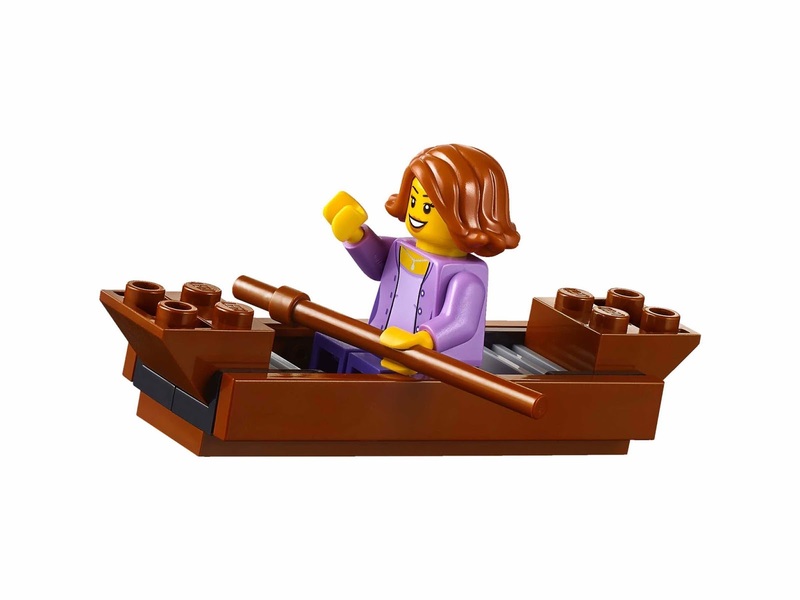 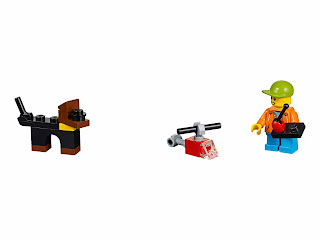 minifigs included a female minifig and a boy minifig.